A partner and I made an agreement with a contractor. We would work as subcontractors. 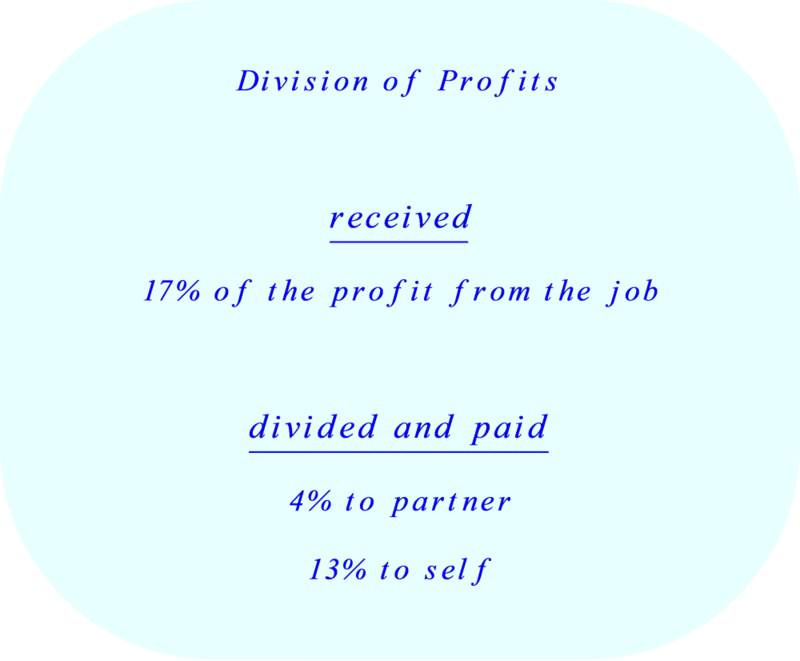 For our portion of work, my partner and I get 17% of the profit from the job. This will be paid to us jointly as a lump sum. Before we completed any work as subcontractors, my partner and I agreed to share our combined earnings as follows: my partner will get 4% and I will receive get 13%. 1. 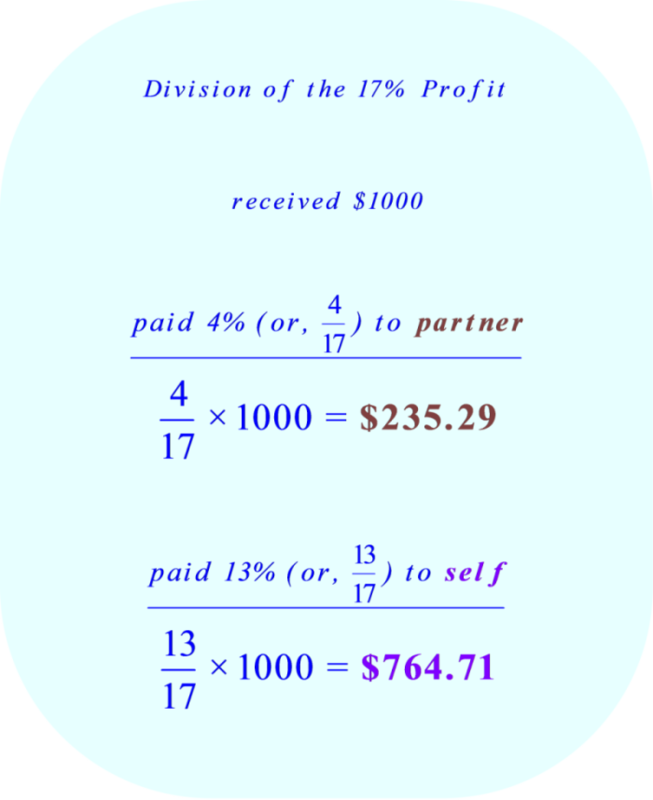 How do we compute the 4% (due my partner) and 13% (due to me)? 2. Is there a simple formula we can use for future jobs?